TOKYO (Bloomberg) -- Toyota Motor Corp., which makes more profit than all other Japanese carmakers combined, will offer to raise wages by one-third less than what its labor union requested. The automaker’s management is proposing a 4,000 yen ($33) monthly wage increase, Yasuyuki Takagi, a spokesman for the Toyota Motor Workers’ union, said by phone. Workers will decide by March 31 whether to accept the offer, which falls short of the union’s 6,000 yen demand, he said. Toyota rebuffed its union’s biggest proposed increase since 1998, saying labor costs would have risen by about 20 billion yen ($165 million). The pushback by management underscores how labor groups and Prime Minister Shinzo Abe’s government are struggling to pressure Japan’s biggest companies to share more of the record profits they’re earning due to a weak yen and pull the country out of its prolonged deflation. “Despite the generally upbeat mood surrounding wages, it is difficult to see stable” inflation of 2 percent as targeted by the Bank of Japan, Kyohei Morita, an economist at Barclays Plc in Tokyo, wrote today in a report. Toyota management on March 18 will offer to accept the union’s proposal for bonuses equivalent to 6.8 months of salary and a 7,300 yen ($60) average pay increase for seniority or promotions, Takagi said today. Both figures would be unchanged from a year earlier. All 10 other unions representing workers at Japan’s auto companies also demanded a 6,000 yen ($49) monthly raise for the next fiscal year, according to the Confederation of Japan Automobile Workers’ Unions. Abe has pressured Japan Inc. to boost wages after giving exporters a tailwind with stimulus and monetary easing that helped weaken the yen. 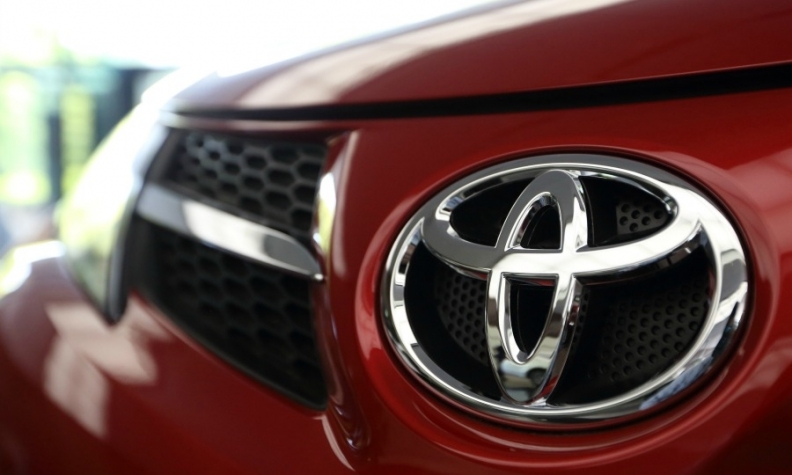 The policies have been a boon for Toyota, which forecasts profit of 2.13 trillion yen for the fiscal year ending this month, more than analysts project from Japan’s seven other carmakers combined. Workers in Japan saw their first base wage increases in eight years in 2014, though the boost was offset by rising living costs and a sales-tax increase. The disparity contributed to Japan slipping into recession last year, its fourth since 2008.